Artist’s depiction of Beresheet on the lunar surface. Update 4:03 p.m. ET: Unfortunately, the SpaceIL team lost contact with the Beresheet probe. Details here. On Thursday afternoon, the Beresheet probe will attempt to land on the lunar surface. If all goes well, the achievement will make Israel just the fourth country to have placed a probe on the Moon. You can watch the action live right here, with coverage from SpaceIL starting at 2:30 p.m. ET (11:30 a.m. PT). Beresheet, meaning Genesis in Hebrew, is expected to land somewhere in the northeastern section of the Sea of Serenity around 3:35 p.m. ET (12:35 p.m. PT), reports the Jerusalem Post. Following the touchdown, Beresheet will take photos of the landing site and take a selfie, among other tasks. The low-cost probe is not expected to last beyond a day or two, given the extreme conditions on the Moon’s surface. Beresheet left Earth on February 21 atop a SpaceX Falcon 9, a rocket that’s primarily used to place objects in Low Earth Orbit. To reach the Moon, the $100 million Beresheet spacecraft made increasingly large orbits around Earth until it could be captured by the Moon’s gravity, the BBC reports. The protracted journey was a minor inconvenience, given the resulting cost savings. The probe was built by SpaceIL, a not-for-profit Israeli firm. Should all go well, the landing will add Israel to a very short list of countries to have sent probes to the Moon, the others being the United States, the Soviet Union, and China. However, Beresheet will become the first commercially built probe to accomplish the rare feat. Both the Israeli Space Agency and NASA are assisting with the Beresheet mission. The genesis of the Beresheet mission (see what I did there?) dates back to the now defunct $20 million Google Lunar XPrize. The contest, which ended in January 2018 without a winner, outlined a series of technical requirements for prospective lunar probes, such as taking photos of the landing site and the selfie. The Beresheet team had participated in the contest but failed to meet the given deadlines. 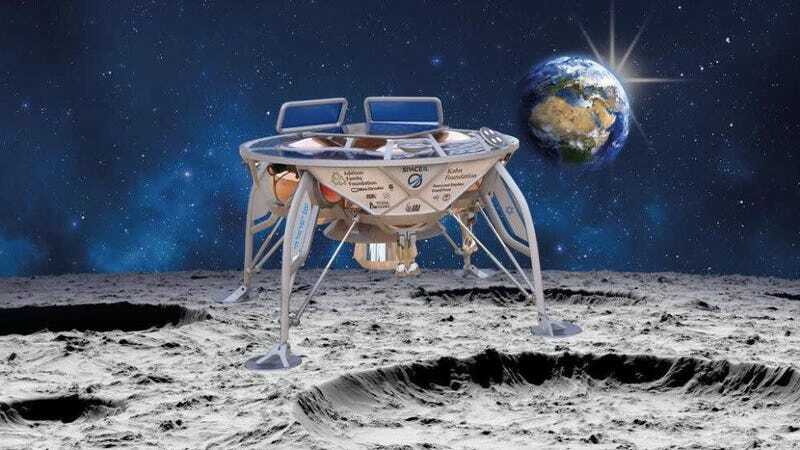 The Beresheet probe will take measurements of the Moon’s magnetic field during its landing, and will deposit a time capsule containing hundreds of digital files, such as the English version of Wikipedia, the Torah, and the names of the Beresheet team, among other artifacts.